I purposely chose to blog about this when my whole experience was over so I could document it and give a more in depth review of the brand. So you’ve read all about the brand and the dyeing experience. Now, let’s take a closer look at what really went down. Just a reminder, I am a medium blonde and didn’t bleach my hair for this. 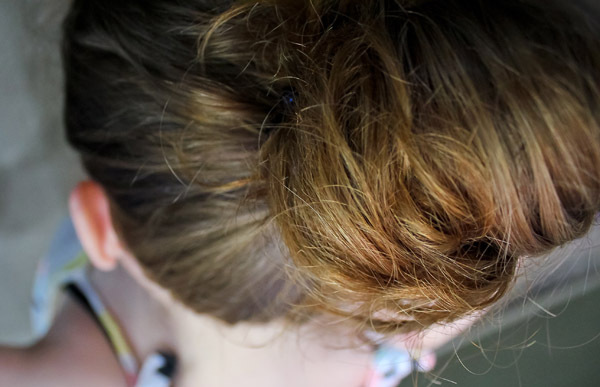 My hair is noticeably darker and the color is very obvious, this was taken with a flash right after my appointment. However to the naked eye and with night time lighting, it looked like my hair just got darker. 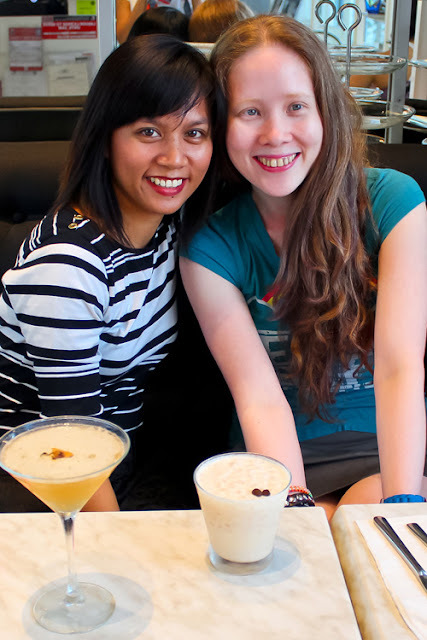 On a date with Owee at 14 Four Café, she agreed to shoot my hair photos. 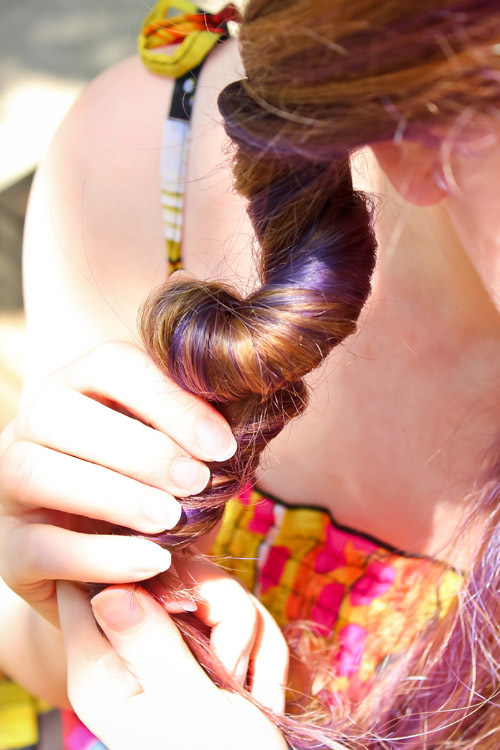 When the sun would hit my locks, it gorgeously showcased the color. 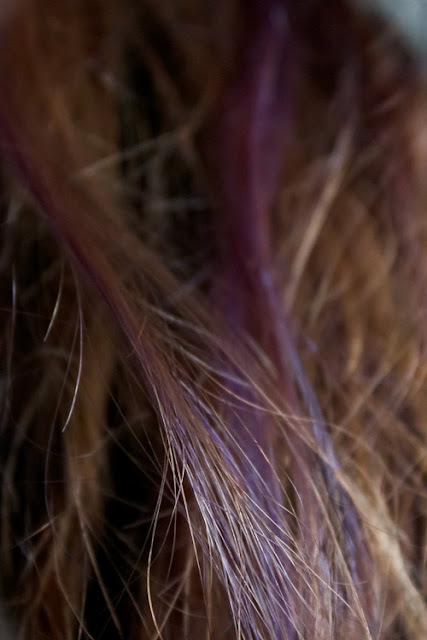 Check out the lower portion of my hair - see the difference when the sun hits my hair? My streaks would turn into different shades of purple depending on the light. 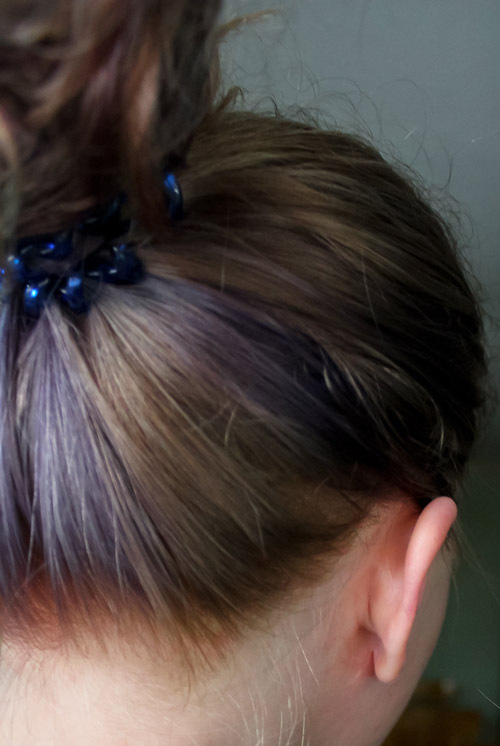 The streaks on the top of my head lean towards blue more than purple. These streaks were the ones done last. 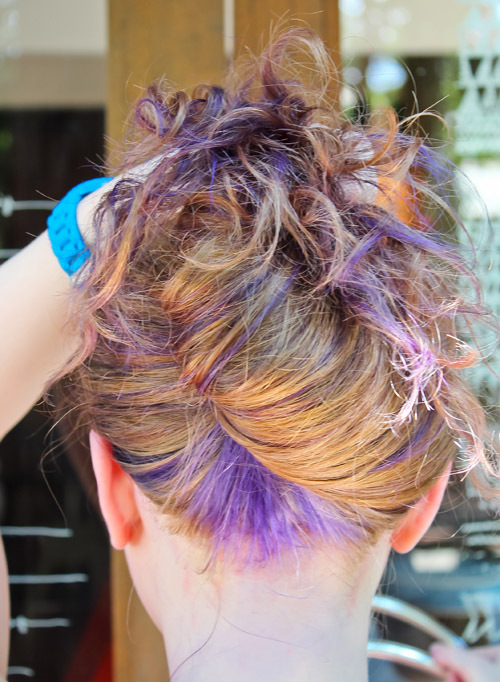 Since the inside was done first, it absorbed the dye the most and had the BRIGHTEST tint of purple. I wish the rest of my streaks were as bright. 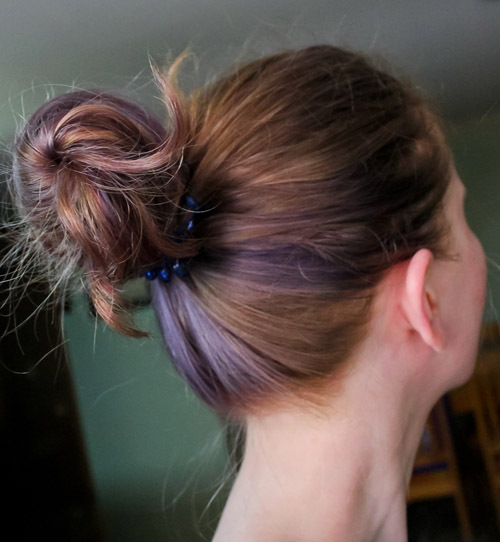 When people would ask me about the color, I would have to search for a strand that would easily demonstrate the dye job. 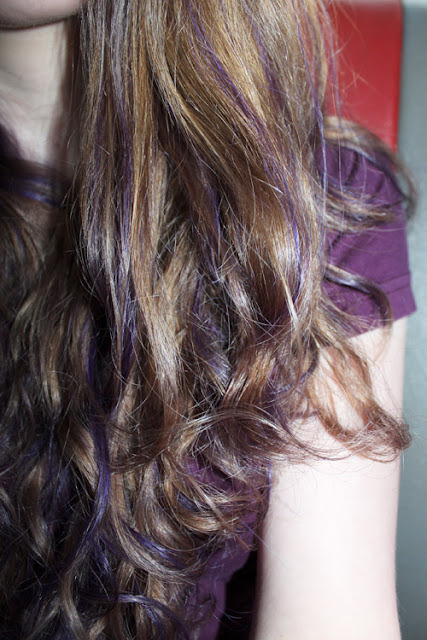 My blonde hair got lighter and the purple streaks weren’t as bright anymore. Depending on the light and angle, the former purple rain now looked gray. My blonde tresses were back to its original form. 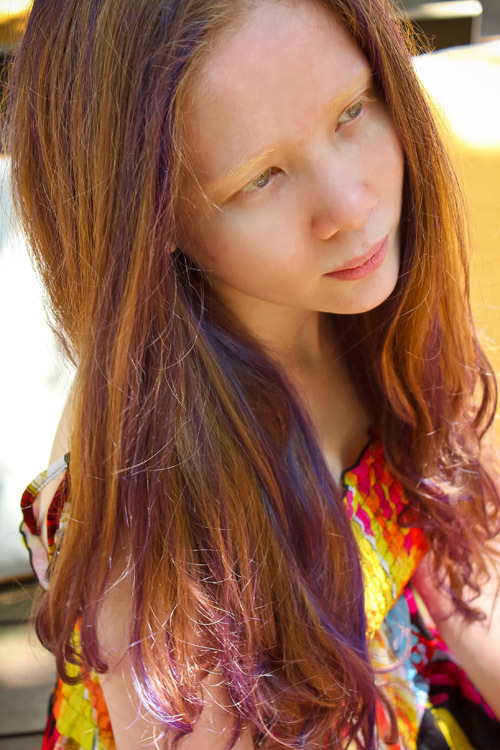 I spent under P2000 for the dye and labor. Some people would argue that spending that much on a hair experiment that didn’t last long is not worth it. On the contrary, getting what I wanted even though for a short time is good enough for me. I gained lessons from this first experiment to improve my dye job. My next post will discuss my realizations and some tips. I loved the first photos! 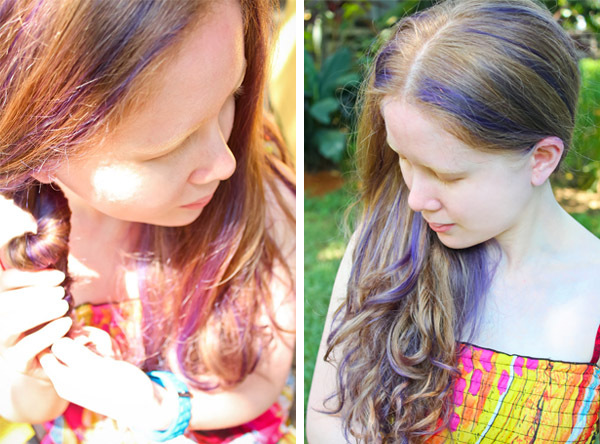 You might want to try out hair chalk :) It's a much easier and much more affordable way to get the exact same thing done! I'm addicted to it atm! I'm not sure, you may want to research more on brunettes who tried it.